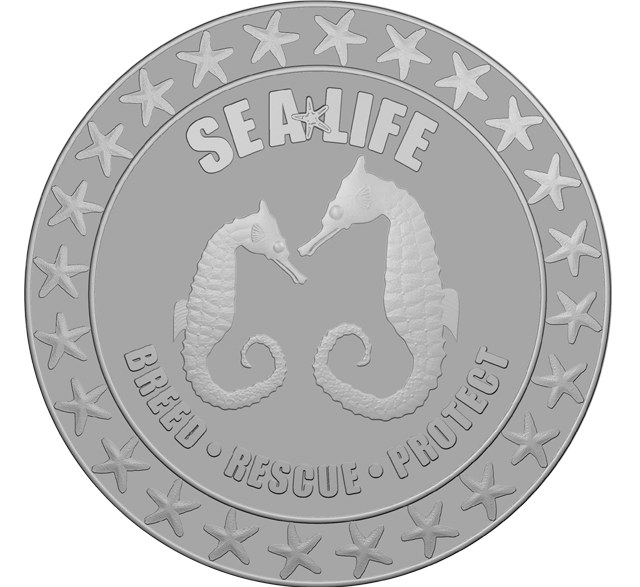 Sea Life has been a pioneer in the field of seahorse breeding, successfully breeding and rearing nine different species to date to help this very sensitive and endangered sea creature from facing extinction. Our programme has meant that we do not need to rely on external suppliers to find seahorses for our exhibitions. That means that none will ever be taken from the wild on our behalf. It also means that we may be able to use our stock to resupply wild stock if they become extinct in the wild. We are members of an international Taxon Advisory Group, which oversees important seahorse protection and conservation endeavours around the world. 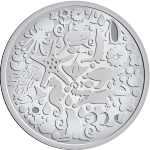 The coin is available at Blackpool Sea Life Centre, Legoland Windsor Park, Brighton Sea Life Centre.